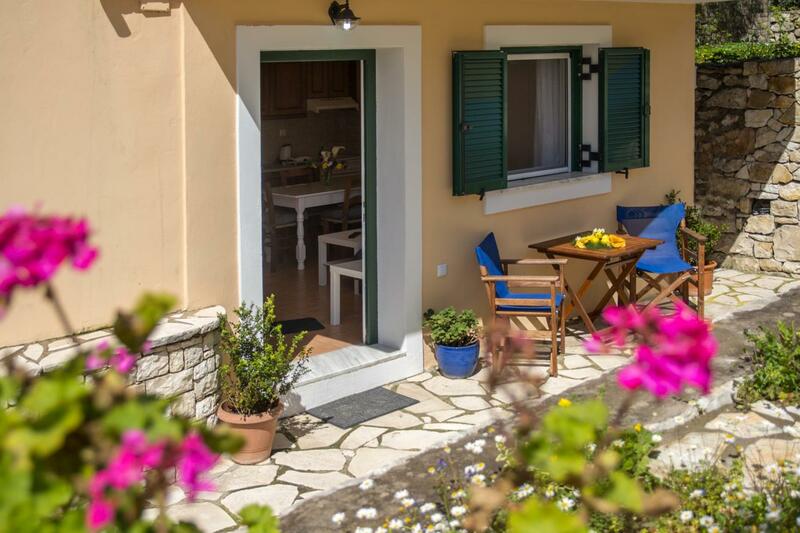 Here you will find useful information for your holiday on the island of Paxos as well as accommodation suggestions for those looking for comfort and privacy in peaceful, idyllic surroundings on the west side of the island. Located in this quite, peaceful part of the island, Villa Galazio Sunset offers you magic moments of relaxation amongst olive trees and gardens to ensure as much privacy as possible in combination with the comforts of a luxury house. Choose the accommodation that suits you. 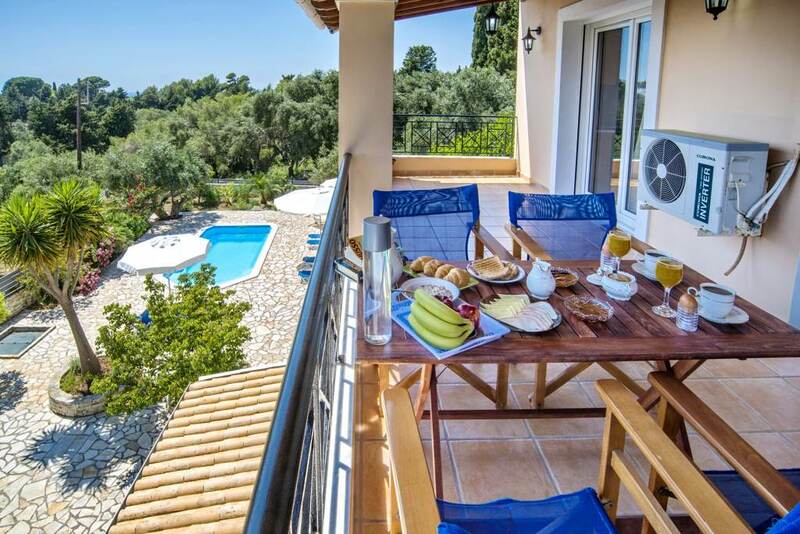 Our comfortable apartment and spacious villas guarantee an unforgettable stay on the island of Paxos created by Poseidon, Greek god of the sea, as tranquil sanctuary and hiding place for his beloved Amphitriti. It is said that he struck the southern part of Corfu and Paxos was formed. Enjoy a glorious sunset in shades of red and blue next to one of the two pools offering perfect relaxation. 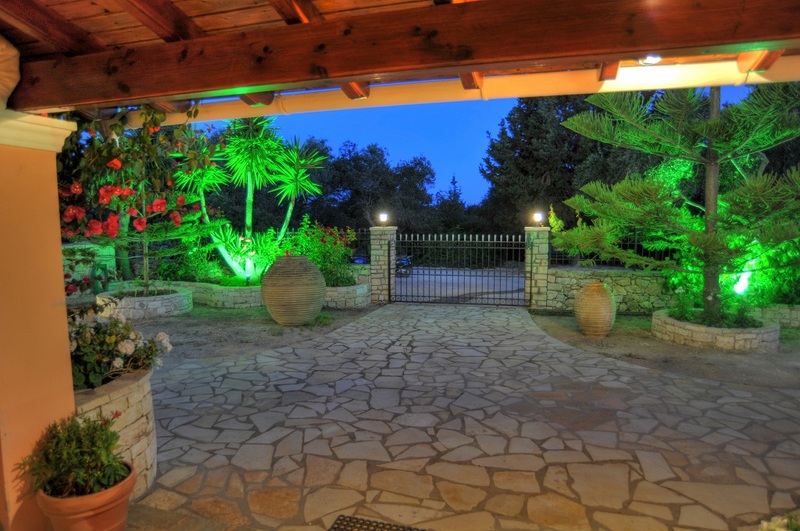 The Villa Galazio Sunset is set in quiet, idyllic surroundings among olive trees, only a five minute drive away from the captivating town of Gaios, the capital of Paxos, and 250m after the village towards the western coast of the island. It is at ground level and comprises a fully equipped, fitted kitchen, a comfortable sitting area with air conditioning, 1 double bedroom and 1 bathroom with a shower. The sofa easily converts into a double bed. The attractive wooden shaded veranda leads to the garden and the pools…. It is at ground level and comprises a fully equipped, fitted kitchen, a comfortable sitting area with air conditioning, 1 double bedroom and 1 bathroom with a bath. The sofa easily converts into a double bed. The veranda leads to the garden and the pools…. Prices include a Group A (1000cc) rented car or an automatic scooter for each of the apartments, except of the period 2 July – 16 September.